This first issue launches Rickard Berghorn's discovery of the SWEDISH version of Dracula, serialised from June 1899 on in the Swedish newspaper "Dagen." This second-oldest translation of Dracula turns out to be a bold adaptation and probably was the matrix for the shorter Icelandic version Makt myrkranna, that followed 6 months later in Valdimar Ásmundsson's newspaper Fjallkonan. 6 March 2017: The amazing news brought by our Conference News Bulletin was discussed today in an article by Anna Margrét Björnsson in Icelandic Monitor, the most popular Icelandic news website. We have just launched the first issue of our Conference News Bulletin! Overseen or ignored for more than a century by Scandinavian literary experts, Mörkrets makter now turns out to be the oldest known adaptation of Bram Stoker's novel Dracula! Introduced by Hans Corneel de Roos, the translator and researcher behind the Powers of Darkness book (Overlook, 7 Febr. 2017), Rickard Berghorn explains about his discovery of the link between the Swedish and the Icelandic version in an exclusive, first-time interview. 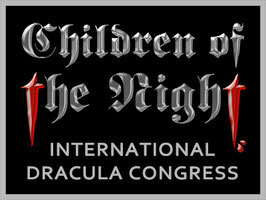 Our bulletin will publish important notifications regarding the planned international Dracula conference series in Brașov. Conference speakers and participants will have an opportunity to launch their own discoveries and articles through the bulletin platform.